As most Alaskans wake Thursday morning, those of us on the Senate Energy and Natural Resources Committee will be in the midst of a hearing that is critical to our state's future. 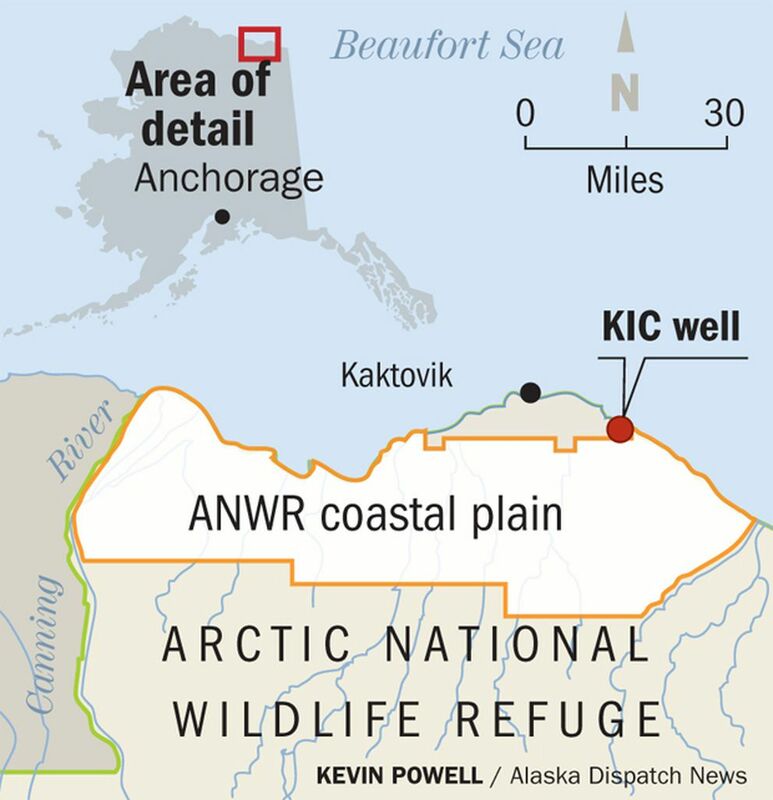 Our topic — the responsible development of a small portion of the 1002 Area in ANWR — is not new. But it is as timely as ever, and we will have a strong slate of Alaskans present to explain why. On hand will be Sen. Dan Sullivan and Congressman Don Young. Gov. Bill Walker and Lt. Gov. Byron Mallott. Richard Glenn of the Arctic Slope Regional Corporation, Matthew Rexford of the Kaktovik Iñupiat Corporation, and Aaron Schutt of Doyon. Together, we will make the case for opening the 1002 Area, which is possible this year through the congressional budget reconciliation process. We will highlight the substantial economic benefits that limited development will bring —while at the same time describing how technological advances will ensure the protection of our environment. We will start at the beginning, by explaining how the 1002 Area covers 1.57 million acres of land on the Coastal Plain. How Congress set it aside in 1980 for further exploration of its energy potential. How it could supply one million barrels per day for nearly 30 years. And how the Interior Department first recommended it be opened in 1987 — now fully 30 years ago. A new conversation about modern development is particularly important given our state's economic downturn. The Trans-Alaska Pipeline System, the economic backbone of our state, is three-quarters empty. Our unemployment rate is 7.2 percent, highest in the nation. Our state government also faces staggering budget deficits that have left legislators with a variety of bad options to find balance. Opening the 1002 Area is a great way to help overcome all of those. New throughput will alleviate operational challenges for TAPS. Development will create thousands of new jobs, both in Alaska and across the country. It will also generate tens of billions of dollars in revenues — new wealth and prosperity that our state could sorely use right now. Alaskans know the economic benefits of limited development will be substantial. But another story that deserves to be told is how imperceptible our physical footprint will be. And that's because we are asking to develop no more than 2,000 surface acres in the 1002 Area – about one ten-thousandth of all of ANWR. Some of my colleagues have wondered, how is it possible to produce so much energy from such a small area? The answer is technological advances made both at the surface and beneath it. The size of drill pads on the North Slope has declined by roughly 80 percent since production began at Prudhoe Bay, with many sites now covering just 12 acres or fewer. Perhaps even more impressive is the new drill rig that Doyon is building that will be able to access 125 square miles of the subsurface — an increase of more than 4,000 percent from the 1970s. Our shrinking footprint is further evidenced by the use of ice to construct temporary roads and well pads that simply melt away in the summer, without any lasting impact to the tundra. It is the result of decades of experience, during which we have learned to avoid sensitive habitat. And it is enforced by our regulatory system, which is among the most stringent in the world. We care about our environment. And that's a big part of the reason why fears over impacts to wildlife have repeatedly proven wrong. We heard cries of devastation when we were debating construction of the trans-Alaska pipeline in the 1970s. And we hear them again today, even though our record is strong, and the land needed for development is less than ever. The Central Arctic caribou herd, which lives in and around Prudhoe Bay, provides a good example. Like most caribou herds, its numbers fluctuate based on natural factors. But what is undeniable is that it has grown significantly since development began at Prudhoe Bay, from 3,000 animals in 1969 to roughly 22,000 today. Alaskans have proven we can develop projects safely and responsibly on the North Slope. Any new opportunities will be held to that same standard. This is not a choice between energy and the environment, because we know how well they coexist. Some will argue that with low oil prices, now is not the right time to develop the 1002 Area. But we are all familiar with the saying, "the best time to plant a tree is 20 years ago." This is the right time to open a small fraction of the 1002 Area to responsible development. And this morning, that's exactly what we will be discussing in the Energy and Natural Resources Committee. Sen. Lisa Murkowski, R-Alaska, has served in the U.S. Senate since 2002, and before that in the Alaska House of Representatives.